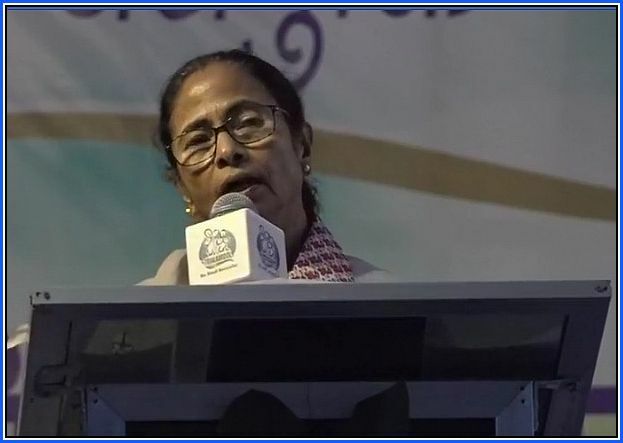 West Bengal Chief Minister Mamata Banerjee on Thursday said her government will work hand-in-hand with the main parties in the Darjeeling hills to make sure that the identity of the Gorkha community does not come under threat. Noting that she was not in power when the agreement was made on the development board of Gorkhaland Territorial Administration (GTA), Banerjee said she would involve all to try to find a solution to the issues before the next GTA election is held. "We want good relations between Darjeeling hills and the rest of Bengal. Also the identity of the Gorkha community is in our mind, in our hearts. I was not part of the previous GTA agreement. It was done during the time of previous government. I merely signed the agreement," Banerjee said in a public meeting here in support of GJM and Trinamool Congress alliance candidate Amar Singh Rai. "After the 2019 polls and before the next GTA election, we will try to find a solution to the Darjeeling issue. We will ensure that the identity of our Gorkha brothers and sisters is threatened," she said amid cheers from the locals. Attacking the Union Minister and incumbent Darjeeling MP S.S. Ahluwalia for not coming to the hills frequently, Banerjee claimed that the saffron outfit fielded "an outsider" as their candidates here, who made "false promises to the people and ran away" after winning the elections. "Nobody has seen his face after the election anywhere in Darjeeling. He knows he would lose. So, he has gone to Bardhaman district. He had asked for people's votes promising that he will give them Gorkahland. Now he has fled," Banerjee said criticising Ahluwalia who is contesting from Bengal's Bardhaman-Durgapur Lok Sabha seat in 2019. "This time they have brought in a resident of Manipur. He will hold campaigns before the elections, distribute cash among people and then flee as well," she said without naming BJP's Darjeeling candidate Raju Singh Bista. The Trinamool Congress supremo described the GJM leader and former Darjeeling MP Rai as "the son of the soil" and said that she has nominated him instead of one of her party leaders as he has a better understanding of the local problems. She urged the locals to vote for him.